As an artist and a new homeowner, Donna enjoys creating unique decorative items and holiday ornaments to welcome all to her artistic abode. Glitzy or folksy, solemn or soaring, angels have always been a symbol of the Christmas season. 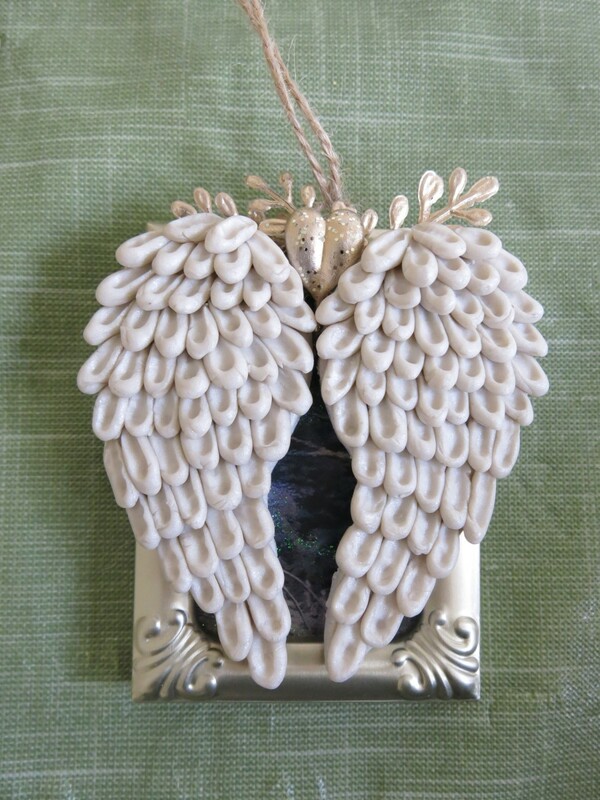 This angel wing ornament is a little of all of the above. 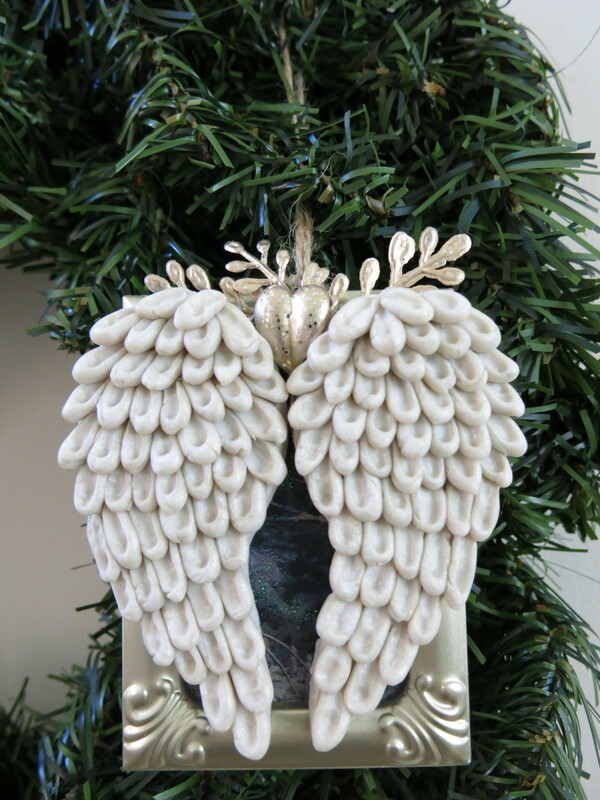 Made with polymer clay, this ornament captures the spirit of a Christmas angel. 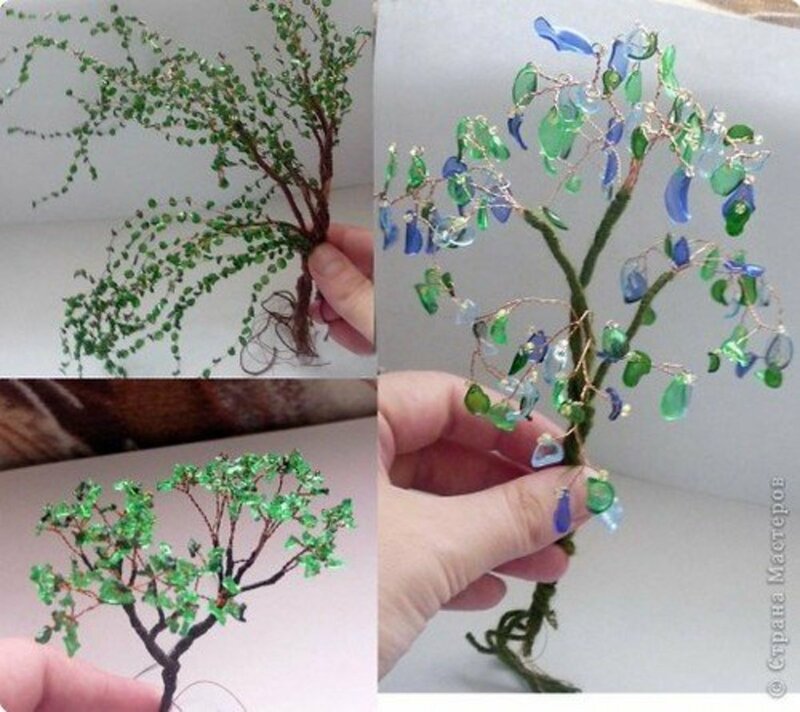 Don't be afraid if you've never worked with polymer clay. 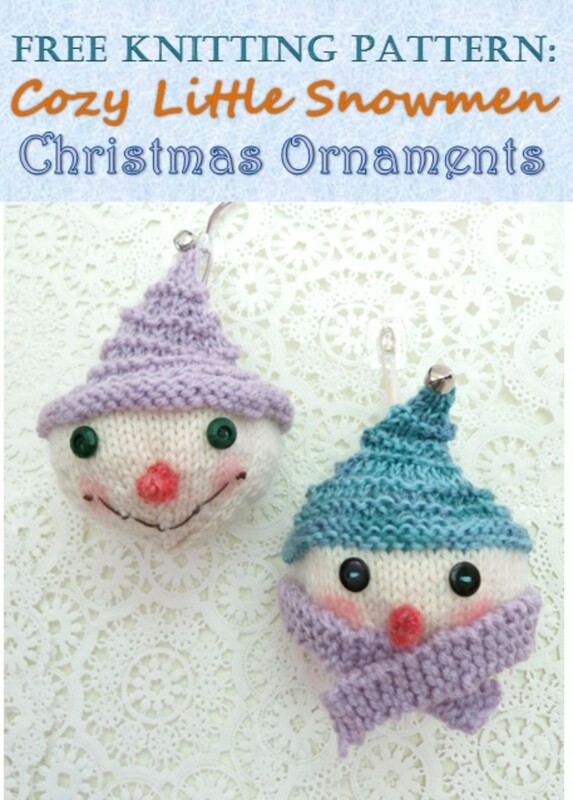 The tutorial below lays out the directions in easy to follow steps for anyone to follow. 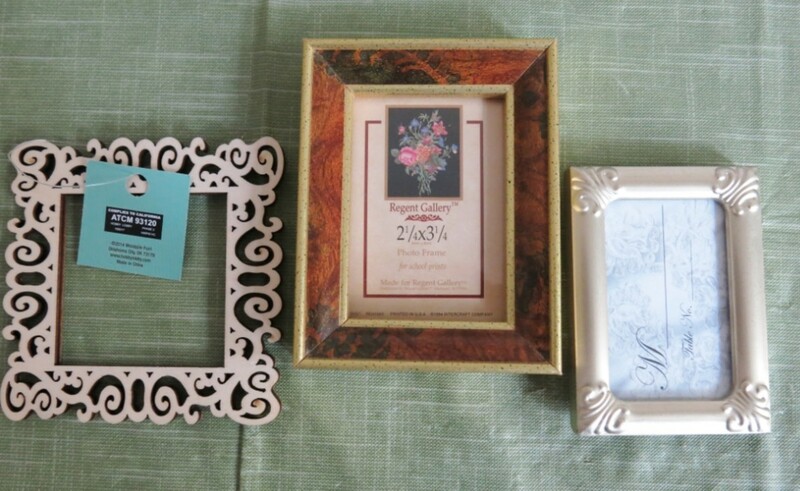 A small, light frame - I chose a frame that held a photo that was about 2 inches by 3 inches. Look for a frame where you can remove the glass and backing completely. 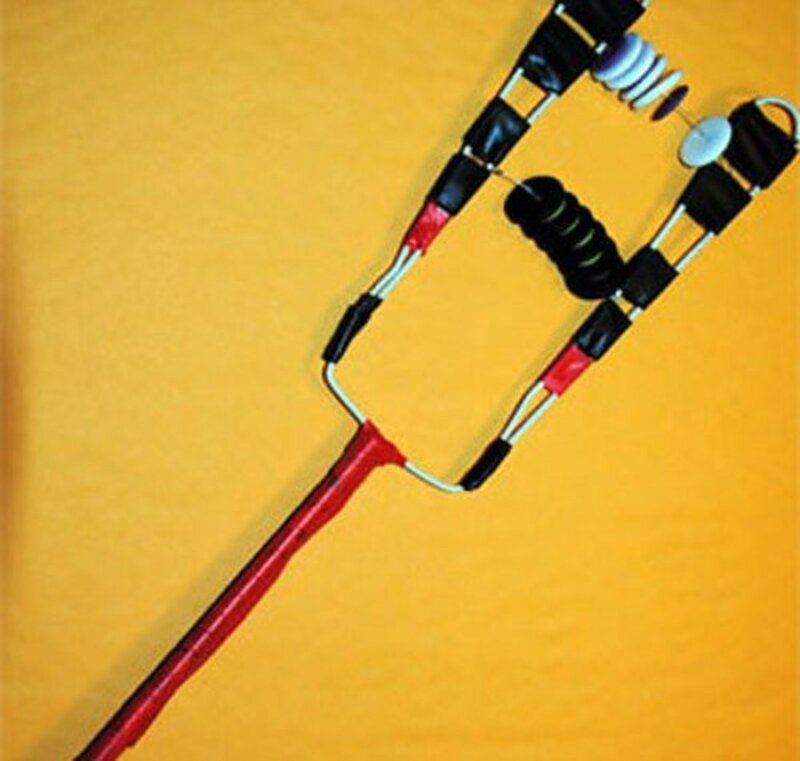 This will make your frame lighter. Think about how you will hang your frame. I just looped a piece of ribbon around the top center of my frame for hanging. 2 oz. block of polymer clay (color of your choice) - I used Pearlescent Sculpey, available at most craft stores. Super glue for assembling your ornament - gel formula works well. Something for rolling out your polymer clay - a dowel is a good choice. Do not use a rolling pin or other kitchen items that will later come in contact with food. A plastic knife or something to cut your clay - again, do not use kitchen items. Do not use any tools with polymer clay that will later be in contact with food. A small, rounded tool - like the end of a paint brush or knitting needle. 1. Size and print out the angel wing template above. The size of your wings will depend on the size of your frame or backing. You will want to make sure that your wings are large enough to make contact with the top and sides of your frame. You can also use a different wing shape if you want, but choose something simple. 2. Then cut out your wing template. 3. 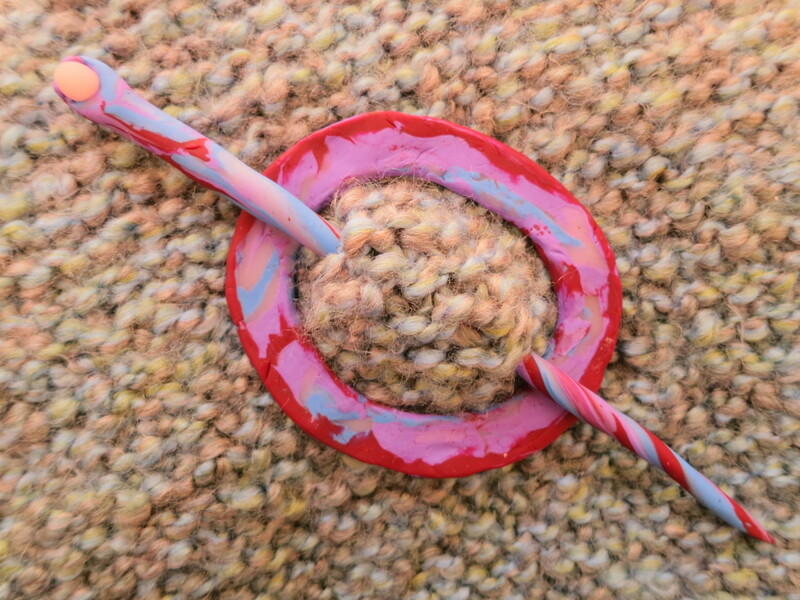 Soften your polymer clay by kneading it in your fingers. 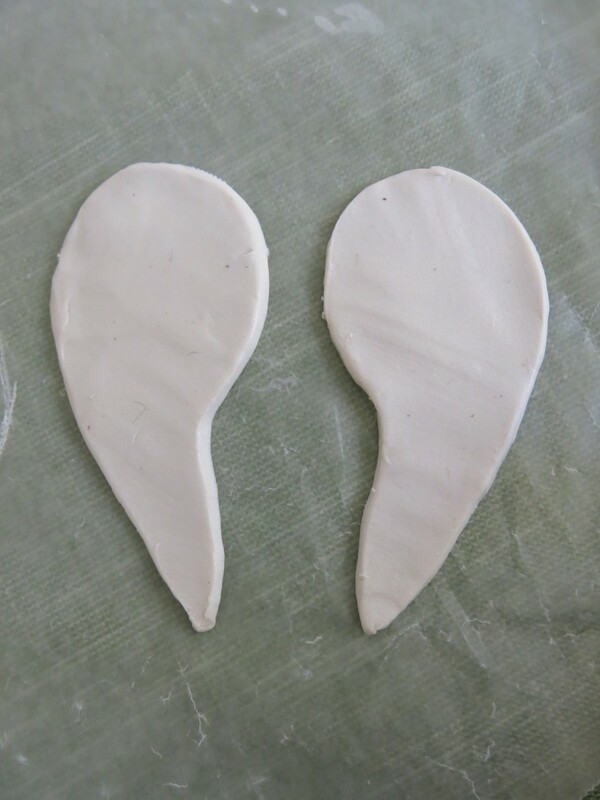 Then roll out your polymer clay so that it is about 1/8 of an inch thick and large enough to fit both wing stencils. I like to roll out my polymer clay on wax paper. 4. Cut out your left and ring wing. 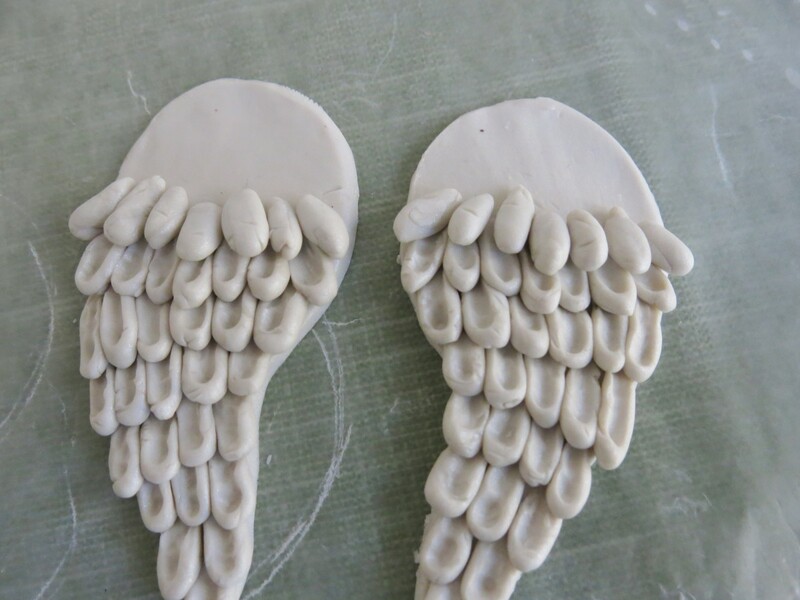 Hold on to the remaining clay after cutting out your wings. 5. Smooth around the edges of your wings with your finger. Your wings do not need to be perfectly clean and neat, but get rid of any bumps or dips. Once your wings are smooth, move them on to a piece of aluminum foil. 6. 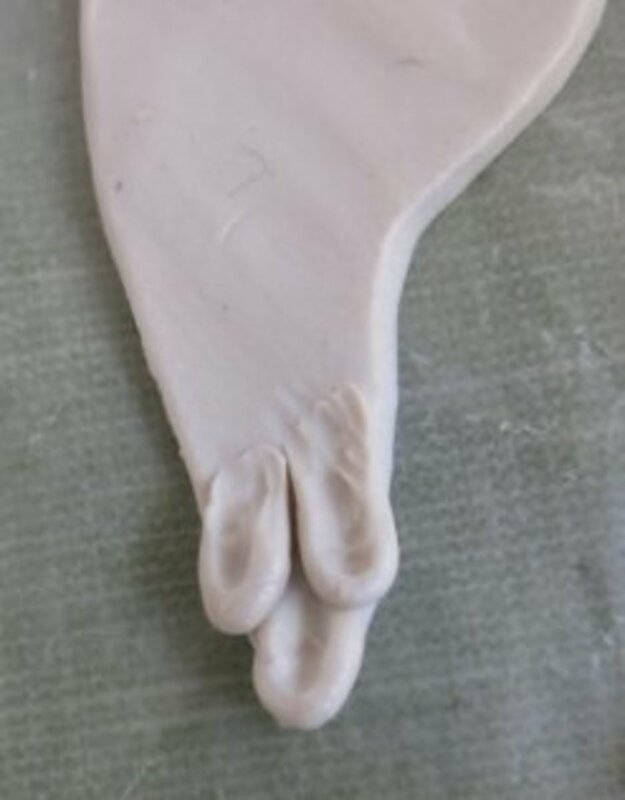 Using your fingers, form a small teardrop from a piece of your remaining clay. 7. 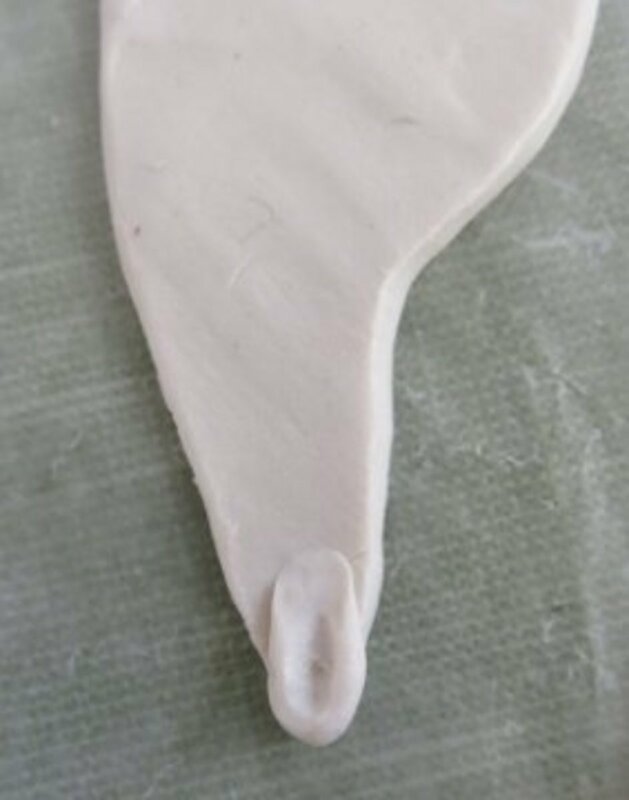 Place this teardrop at the bottom tip of your angel wing. Position it so that it hangs slightly off the bottom edge. 8. Using your small rounded tool, push down in the center of your teardrop to make it stick to your wing. 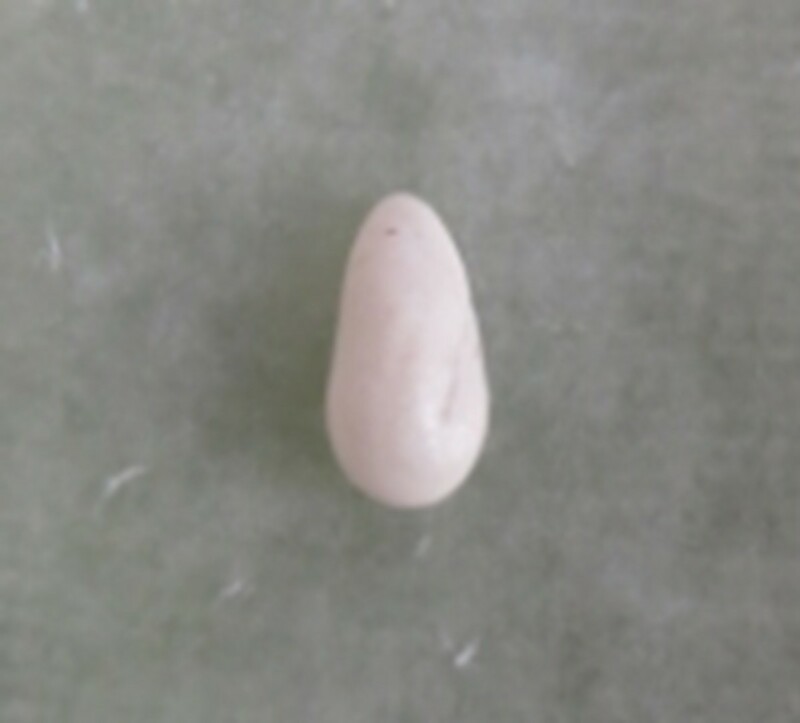 Then pull toward the top of your wing to flatten the tail of your teardrop to form a small feather (see photo above). 9. Repeat Steps 7 and 8 to attach another teardrop to your second wing. Moving forward, work both wings at the same time so the texture and pattern of the feathers are identical. 10. 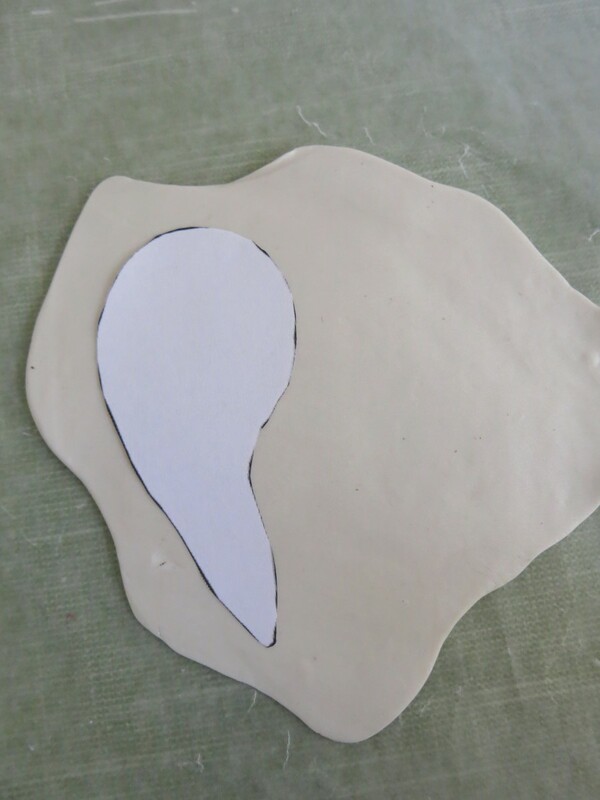 Now place and attach another layer of feathers that slightly overlap the first. Continue in this manner as you fill in your wing. 11. As you add more layers of feathers to your wings, be sure your teardrops are placed evenly so that both wings match. 12. 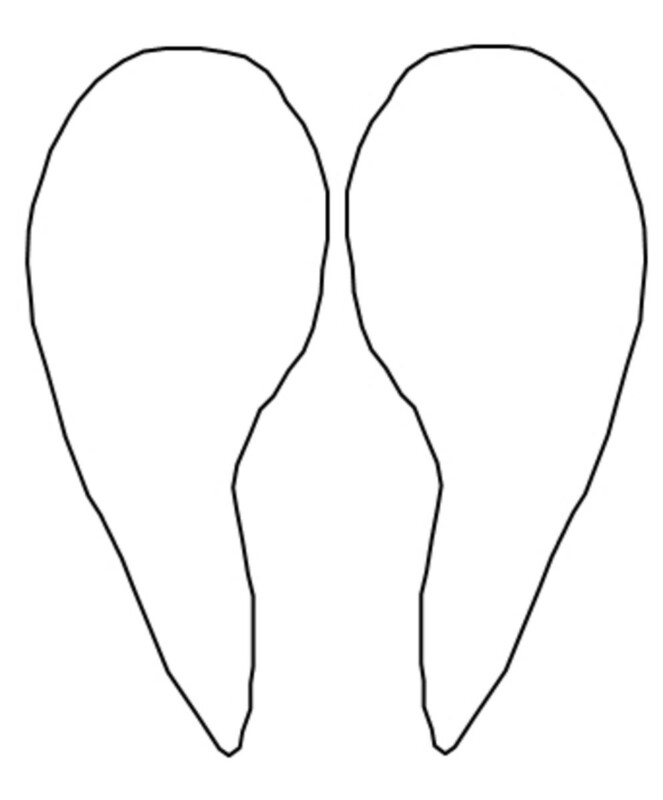 When you move into the rounded area of your wings, turn your feathers so that they face out a little bit (see photo above). 13. 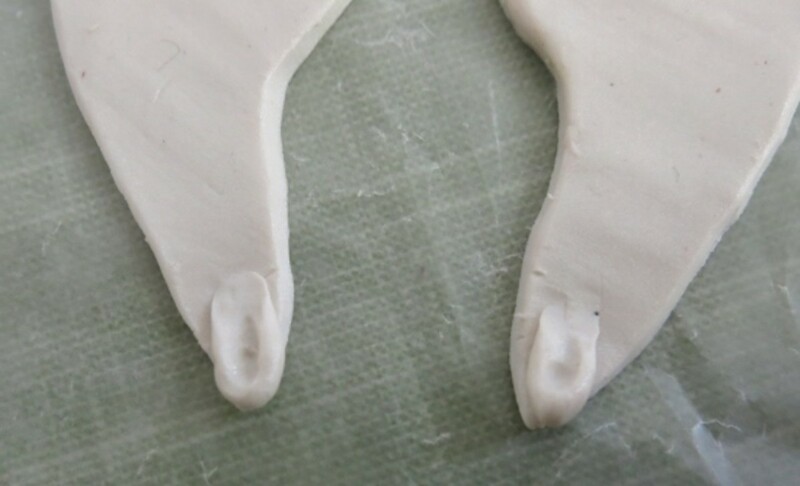 As you work into the larger areas, it might be easier to place all your teardrops before shaping them into feathers. This way you can make sure that both wings match each other. 14. Add and shape the last few feathers on your wings. Make sure your flat wing is completely covered with feathers. 15. 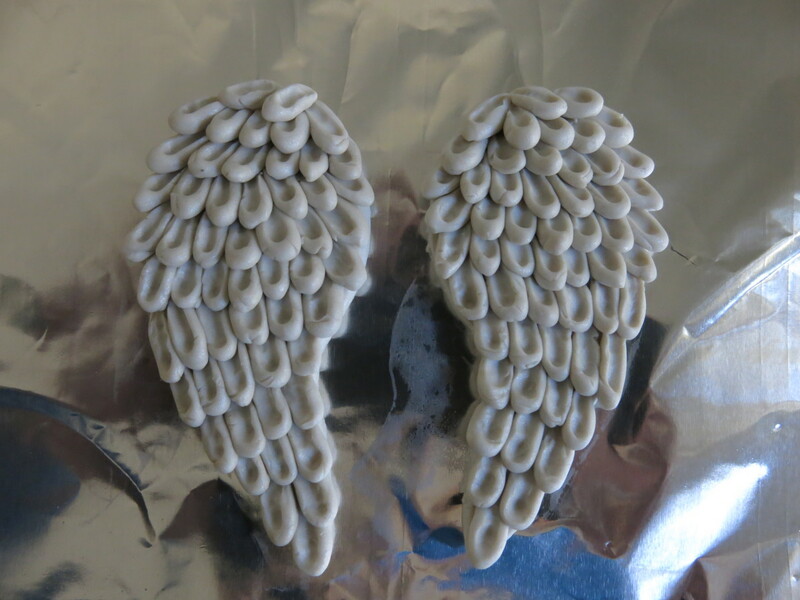 Once your wings are complete, bake them according to the manufacturer's instructions on the packaging. 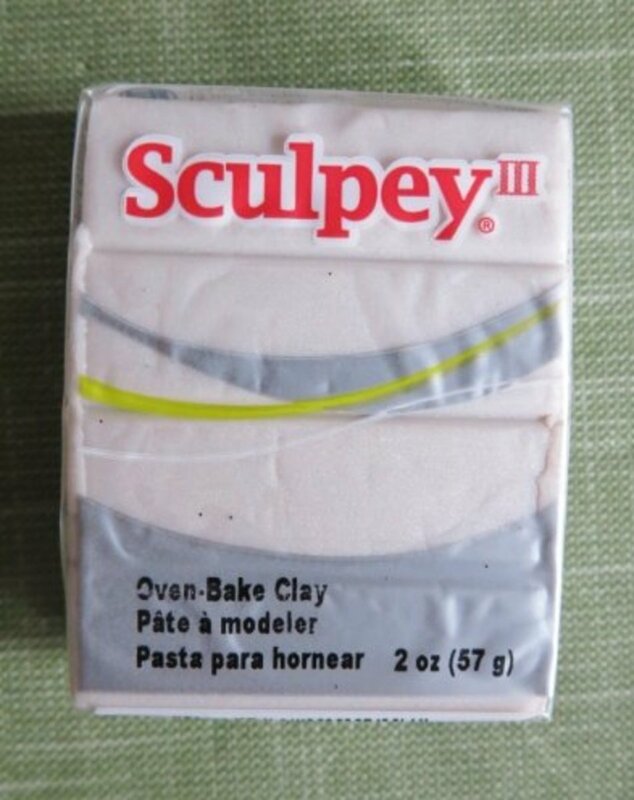 Do not over bake your polymer clay. 1. 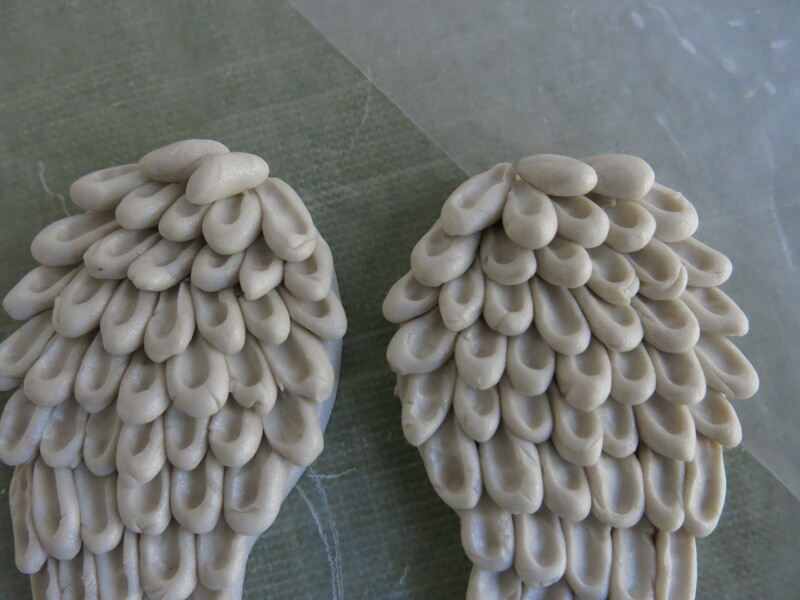 When your wings have cooled completely, place them on top of your frame or backing in the position you want for your ornament. 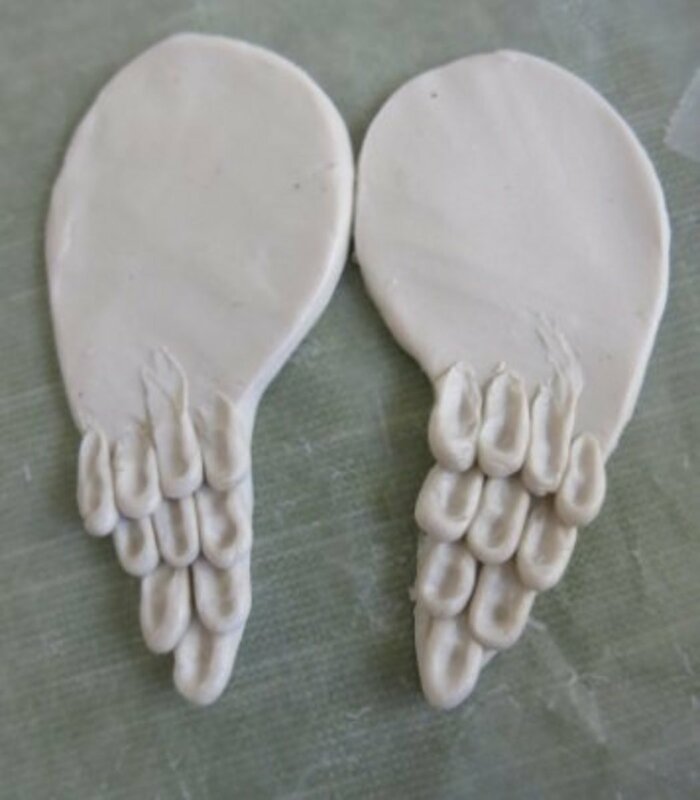 Do not glue them in place yet. 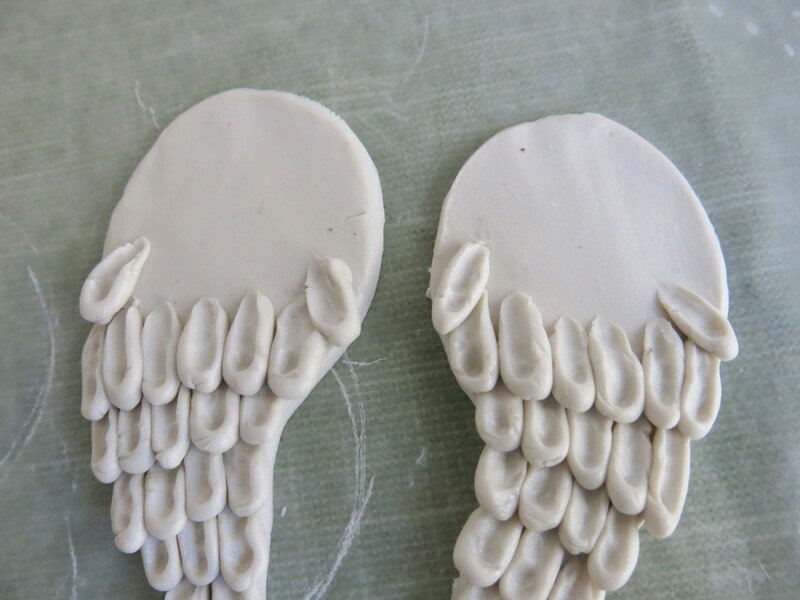 Make sure that the position of your wings will allow you to glue them at the top and sides of your frame. 2. (Optional) Add some additional decoration to your frame, like berries or ribbon. Make sure these items will not interfere with your wings lying flat against your frame. 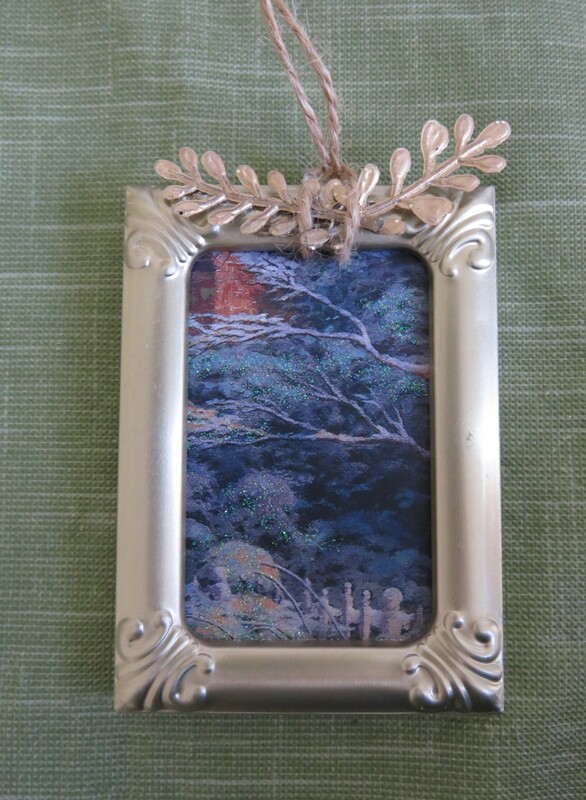 I glued on some tiny gold branches, then looped my hanging ribbon through my frame. I planned to hide this loop with more decoration after attaching my wings. 3. (Optional) I also put an image cut from an old card in to my frame. Then I filled in the back of my frame with some cardboard. 4. Then glue your wings in place using super glue. I attached my wings at the top, sides, and bottom of my frame. Let your wings and glue dry completely. 5. (Optional) Once my wings were dry, I added more decoration at the top of my frame to hide my hanger. I tucked a little heart-shaped leaf in between my wings. 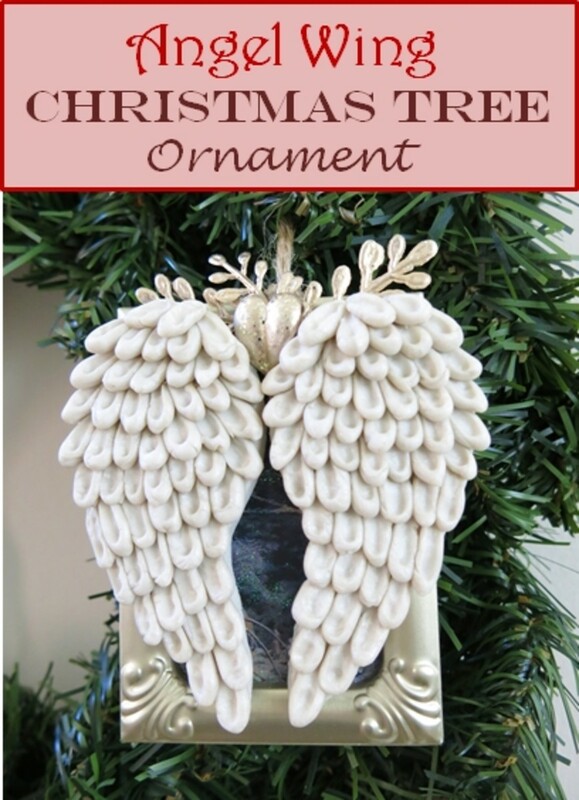 I hope you try this tutorial and make your own angel wings ornament! 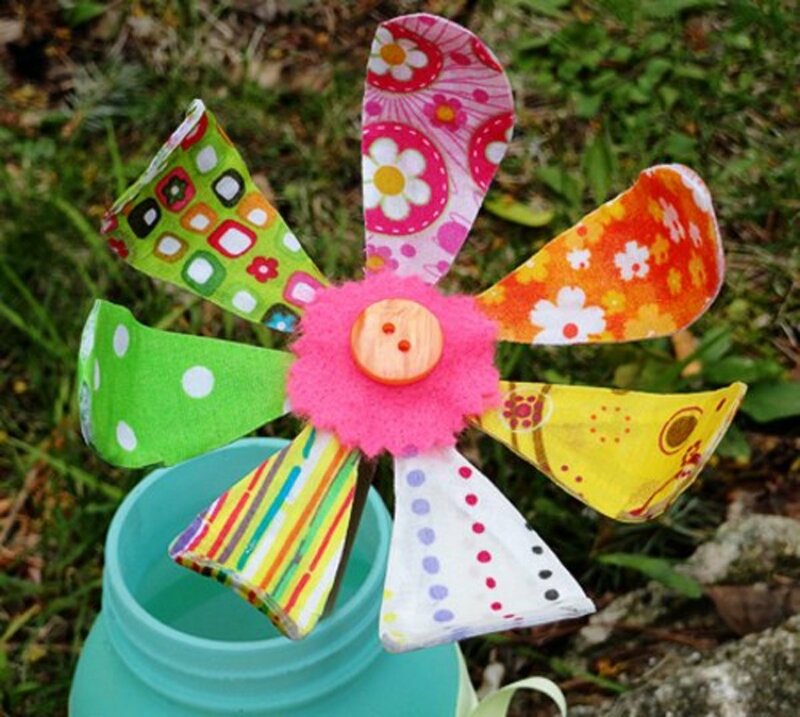 Hi Judy - It sounds like you made your wings out of fabric. What a great idea! 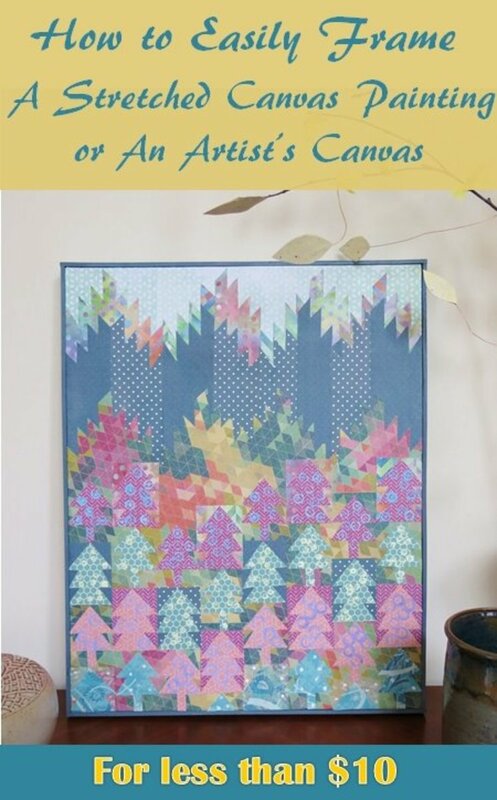 This project can be translated into many different mediums from clay, to fabric, to paper and more. Your ornament sounds beautiful! Thanks for sharing your idea! 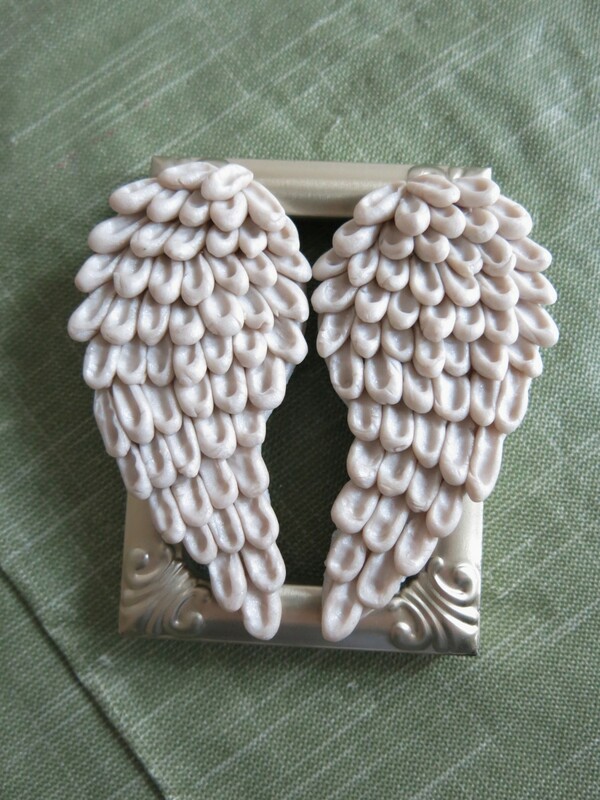 I made your angel winds but I didn't glue them to a frame. I used a quilting hint and covered another set of patterns trimmed a tad smaller than the clay wing pattern with some very thin batting and covered that with white velvet that was glued to the back of the cardboard pattern. Before I glued the back on, I cut a length of white satin ribbon and glued to the back of the wings and then attached the velvet cover back to the wings and hung them on my Christmas tree. I had also spayed them with a very light coat of glitter glue. Thanks, Heidi - Sculpey is only heavy if you're making thick items. As long as you use a light frame, weight is not a problem with this ornament. Thanks for your question! Hi Carolyn - A larger version would be beautiful! If I was to make a larger version, I would make it out of paper and cardboard instead of polymer clay. I would make the base wing shape out of chip cardboard, like from a cereal box. Then I would cut the feathers out of decorative white scrapbook paper (available at a craft store). Instead of cutting out individual feathers, I would cut them out in rows and attach each row to your chip board, layering the feather rows as you go. I hope this helps! Again, love the cute way that an existing frame was reinvented into something else. I had the same question about the weight of the Sculpey. But it looks like it's not a problem. The texture that's created with the "feathers" is very cool. Happy Holidays! Any suggestions on making this bigger. I would like to do one on a a 16x20 frame for my wall. Love this! Hi Claudia - No, this ornament isn't heavy. To keep it light, I removed the glass and backing from the frame. 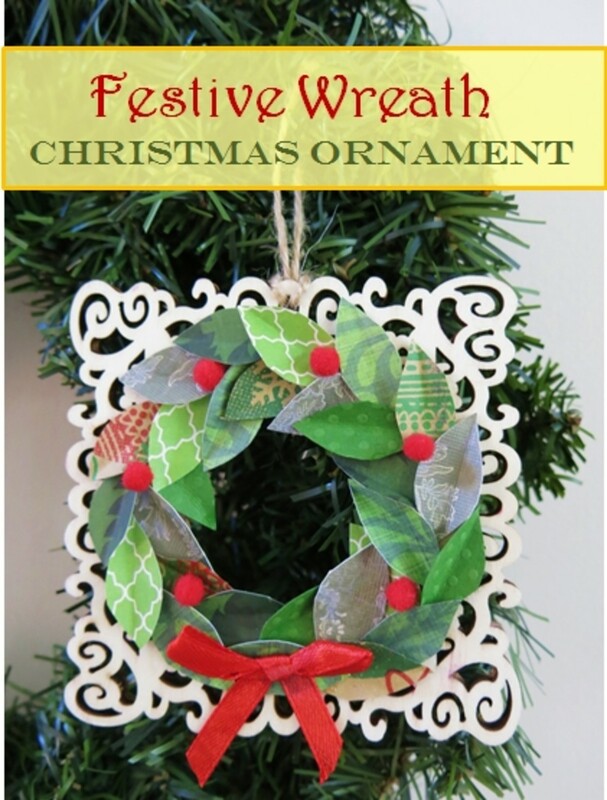 If you use a small frame and roll out your clay thin enough, this ornament should be nice and light. 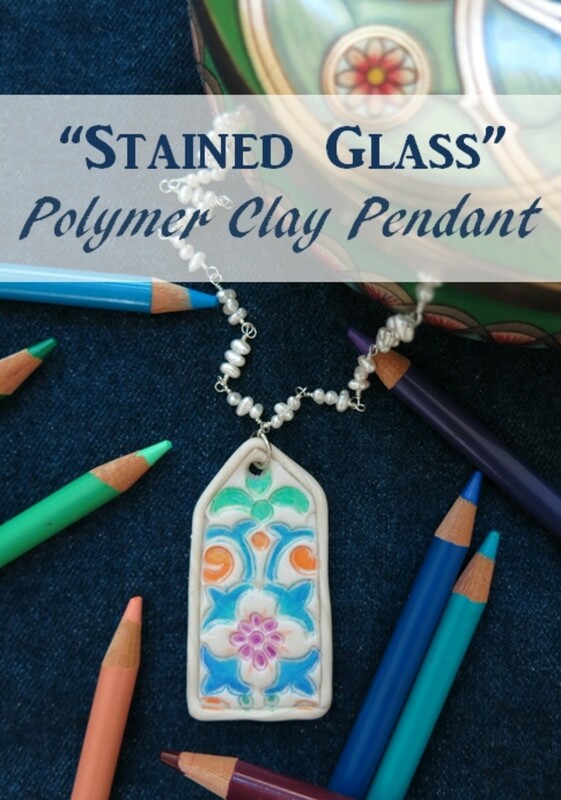 You should definitely give polymer clay another try. I think you'd have a lot of fun! Thanks, as always, for commenting! Love this! I just don't have luck with Sculpey, but I really should try it again. Is this heavy? Just gorgeous & it could be hung anywhere.